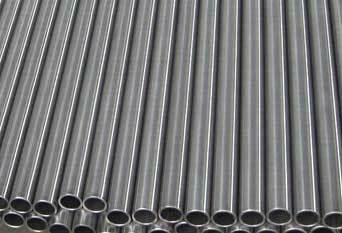 ASTM A789 UNS S31803 Seamless Tubing, A789 UNS S32205 Tubing, ASTM A789 Duplex 2205 Tubes, Duplex Stainless Steel Seamless Tube Dealer, ASME SA789 UNS S32750 Tubes, ASTM A789 Duplex Stainless Steel Welded Tube, ASTM A789 Tubes Manufacturer in India. Piyush Steel is a well-known supplier and distributor of Austenitic Stainless Steel Tubes, which has a number of great features to provide like superior quality, corrosion resistant, ideal finish and so on. We provide these in both made to order and standard dimensions. These are also obtainable in bulk quantity according to the customer’s requirements. Manufactured by using sophisticated technology and best grade material, ASME SA 789 Seamless Tubes offered by us makes sure to give high quality and outstanding durability. As a client focused firm in the industry, we are providing an extensive range of ASTM A789 Welded Tubing to our precious clientele. We offer our exclusive products that are recognized to be given by our specialists who are very much experienced. Having a specific quality system of management, we are known as the notable trader, supplier and manufacturer of a widespread range of ASME SA789 Austenitic Stainless Steel Tubing. We are recognized as a one of the prominent and leading firm in the area for offering a high quality collection of ASTM A789 Stainless Steel Tubes that are being manufactured by using best quality of alloy. Bound by means of superior quality, we manufacture a faultless collection of these tubes. Ferritic Austenitic Stainless Steel ASTM A789 Tubing, ASTM A789 Tube, ASTM A789 Duplex Steel Tube, Duplex ASTM A789 Seamless Tubes, ASTM A789 2205 Seamless Tubes, ASTM A789 Welded Tube, A789 Super Duplex 2507 Tubes, ASTM A789 Super Duplex 4501 Tubes Supplier in Mumbai, India. ASTM A789 Welded Austenitic Steel Tubes, High Quality Super Duplex Steel ASTM A789 Welded Tubes, Super Duplex Stainless Steel ASME SA789 2507 Tubing Dealer, Super Duplex 4501 Welded Tubing, Duplex 2205 Seamless Tubing Stock Holder, Duplex Stainless Steel 2205 Seamless Tubes. 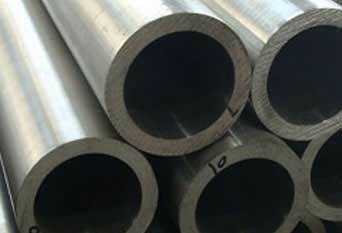 We are involved in offering a supreme collection of ASTM A789 Stainless Steel Tubes. This service includes fabrication of the product that makes them theoretically efficient and advanced. Furthermore, a panel of our quality examiners carries out a series of quality inspections on these pipes for to seek out any likely fault. These are extremely recognized by the customers for its easy operations and sturdy construction. These products provided by us are being made by using highly developed machinery and pioneering technology in adherence by means of the international quality standards and norms. Equipped with a contemporary infrastructure, we are the most well-known trader, supplier and manufacturer of a quality assured products which are extensively used in different industries to take out the toxic and harmful gases. Meanwhile, these ASME SA 789 Stainless Steel Tubes are also being used in white wall elements, Goods, roofing, automotive components, drums, lighting fixtures and different kinds of sections and profiled sheet. 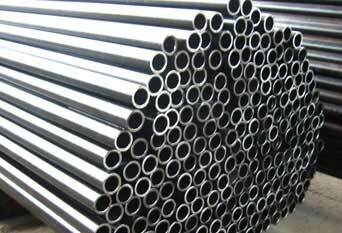 We Supply ASTM A789 / ASME SA789 Tubes of various origin’s and companies like Nippon Steel & Sumitomo Metal, Sandvik, Sanyo Special Steel, Kobe Steel, Schoeller Bleckmann, Salzgitter Mannesmann Stainless Tubes, Tubacex etc. 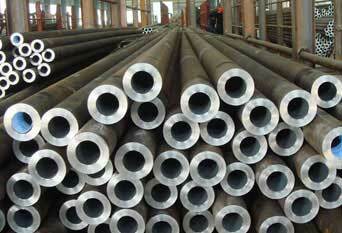 Other Names : ASTM A789 UNS S31803, ASTM A789 UNS S32205, ASTM A789 UNS S32750, ASTM A789 UNS S32760, Duplex 2205 Seamless Welded Tube, Super Duplex 2507 Seamless Welded Tube, Super Duplex 4501 Seamless Welded Tube. standard specification for seamless and welded ferritic / austenitic stainless steel tubing for general service, astm a789 seamless tubes, astm a789 seamless steel tubes, astm a789 steel tubes, a789 welded steel tubes, astm a789 seamless tubes standard pdf, astm a789 welded tubing specification, astm a789 seamless tubes specification, astm a789 welded tubing specification, astm a789 seamless tubing pdf, astm a789 welded tubes, sa 789 tp 304 seamless tubing, astm a789 welded tubing chemical composition, astm a789 uns s31803, astm a789 pdf, astm a790, sa 789 material, sa-789 s31803, sa 789 uns s32750, astm a789 astm sa789 duplex steel 2205 tubing, astm a789 super duplex steel saf 2507 tube, astm a789 stainless steel duplex and super duplex tubes, astm a789 uns s32205 duplex 2205 seamless tubes.